When you were a teen, you had a baby tooth that just wouldn’t come out. Although your permanent premolar pushed its way through the gums, the deciduous one just wouldn’t budge, and you had to see your dentist in Indianapolis for help with removing the unnecessary tooth. After an experience like this, you started to wonder what other reasons people might have for extractions and what makes some of these procedures more difficult than others. 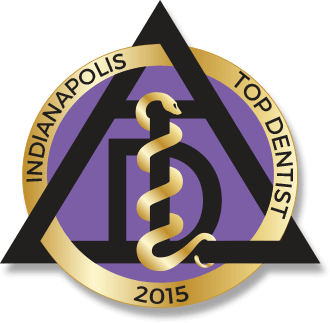 In this post, the team at Indianapolis Family Dentistry gives you the details you need. What Types Of Tooth Extractions Are There? Simple Extractions – When a tooth can easily be seen in the mouth and has erupted through the gums properly, a simple extraction can be performed. During this procedure, we’ll numb the area to keep you completely comfortable, then use an elevator and forceps to gently wiggle the tooth back and forth until the removal is complete. Surgical Extractions – When a tooth hasn’t fully erupted in the mouth or it’s become broken off at the gum line, a surgical extraction will be performed. In this procedure, an oral surgeon will numb the area (and possibly use sedation dentistry to keep you comfortable) before making a small incision in the gum. Then, they’ll remove the broken or impacted tooth. This process is most commonly used for impacted wisdom teeth. 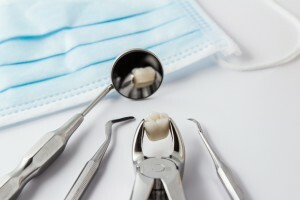 Why Do People Need Tooth Extractions? Some people are born with extra teeth that prevent their permanent teeth from erupting. Baby teeth may sometimes not come out on their own and cause issued with adult teeth coming in. People with braces man need to have teeth removed to make room for the others that are being straightened. Patients who are undergoing head or neck radiation might need to have teeth in the field of treatment removed. People who are undergoing treatment for cancer can develop infections in their teeth because the medications they receive can weaken their immune systems. In this case, infected dentitions need to be removed. In most cases, the jaw is simply not large enough to accommodate the extra set of molars known as wisdom teeth – in about 90% of patients, third molars need to be removed. Decayed and severely damaged teeth, sometimes as a result of periodontal disease, need to be removed to stop the spreading of infection and to prepare for dentures or dental implants. Although you’re probably most familiar with tooth extractions in the case of wisdom teeth, there are many reasons you might need one performed. If you have questions about this procedure, give us a call or schedule an appointment with Indianapolis Family Dentistry today!